Simplex 5000 Combination Entry with Key Override and Exterior Combination Change. No wiring, keycards, batteries, computers or cards are needed during the installation and use of the simplex 5000. 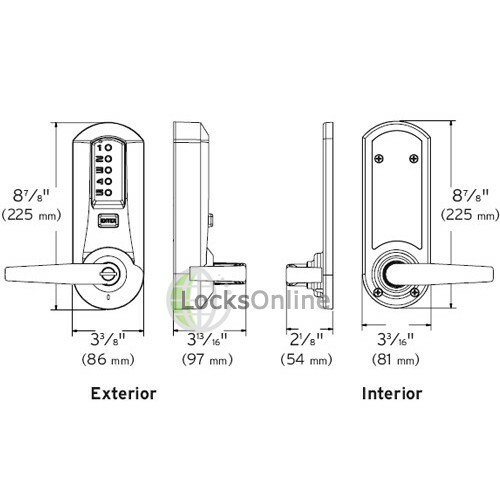 The locking device for this model is a cylindrical latch that has a 3 hour UL ULC fire rating on A labelled doors. This model complies with the ADA, a disabilities act that sets out laws by the United States Government regarding discrimination. 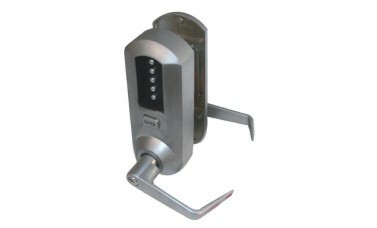 Overall this is a very versatile access control device that provides an excellent balance between security and convenience. Buttons are easy to press, and its sleek design will fit nicely with any existing decor. Designed for simplest installation possible, non-handed design fits both left and right hand doors, handing changes in seconds. Models available for both cylindrical and exit trim locking options. Kaba backs the Simplex 5000 with a three-year warranty. The Kaba group, formed in Switzerland over a 150 years ago focus on access security solutions. The Simplex 5000 is a mechanical push button combination lock that comes with one access code, that can be used to program and manage codes for all users. 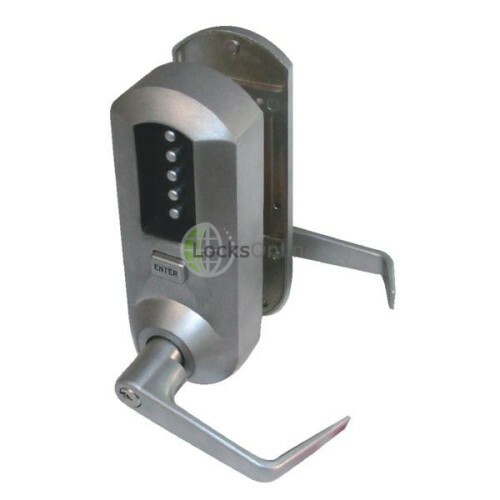 The lock itself is easily programmable using the keypad, it does not have to be removed from the door during the installation. No wiring, keycards, batteries, computers or cards are needed during the installation and use of the Simplex 5000.